Ever restless, just after our one year in Macedonia and six weeks after returning to our home, we were again traveling long distances by plane. We signed up for a Cuba People-to-People program with Global Volunteers (GV). While restrictions prohibiting travel to Cuba have been relaxed, American citizens must travel to Cuba with a Treasury Department-approved purpose such as the People-to-People program. It was explained to us that we are not a team of volunteers, and we cannot be tourists. 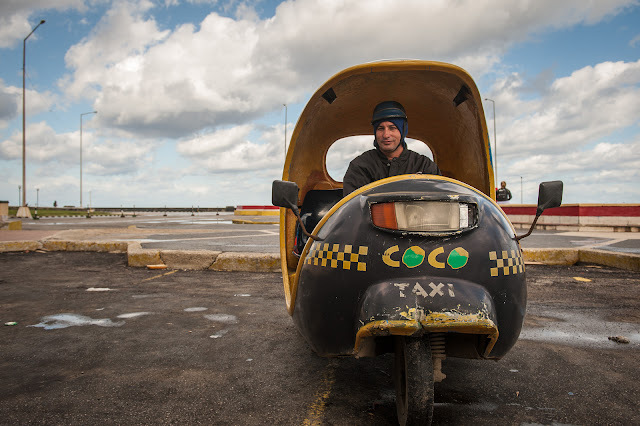 We were there to meet Cubans and have conversations--easy for Dan, harder for me. This GV group included 19 participants from all over the US and two very experienced GV leaders. Havana is just 90 miles from Miami so the charter flight is very short. 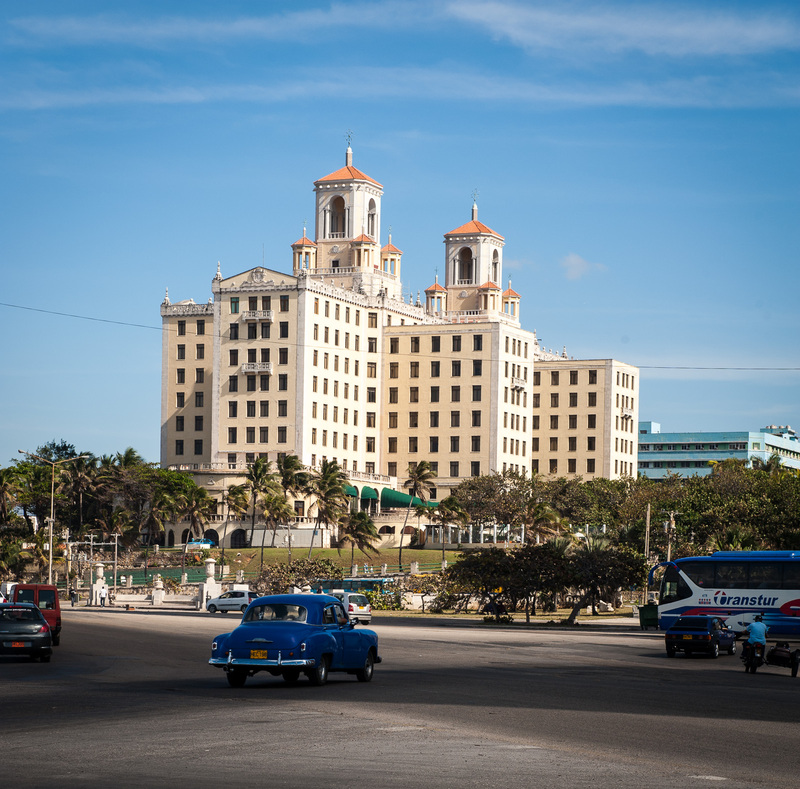 While in Havana, we are staying in the Spanish owned not so historic high-rise Melia Cohiba. Originally, we were to stay in the historic Hotel National but we were edged out by a cigar convention. While waiting for our charter flight in Miami, Danny Glover and a companion strolled into this very public Terminal G waiting lounge and waited with us. He was heading to the cigar convention at the Hotel National. 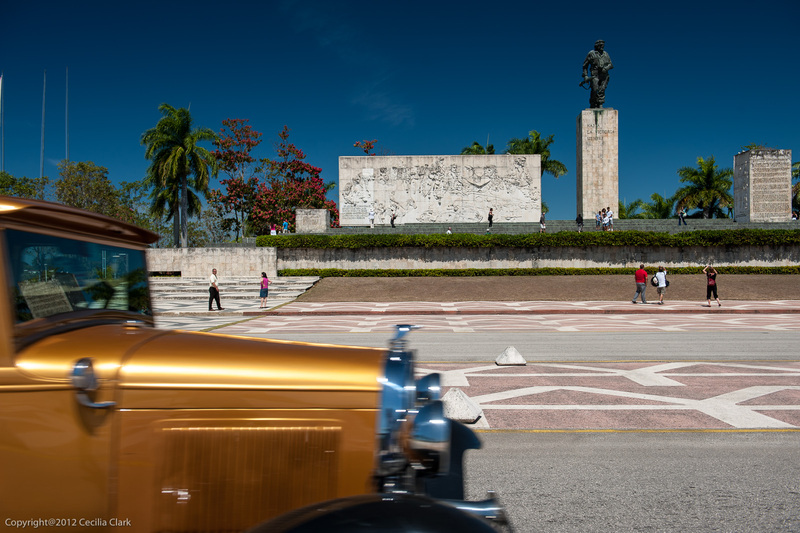 The grounds of the Hotel National have the remnants of bunkers used during the "Cuban Missile Crisis." Then, I was about 7 years old and living on a US military base in Canada. My memories are of day-long drills in the base cafeteria with blackout curtains drawn. It was interesting to stand on this Cuban shore and look back 51 years. 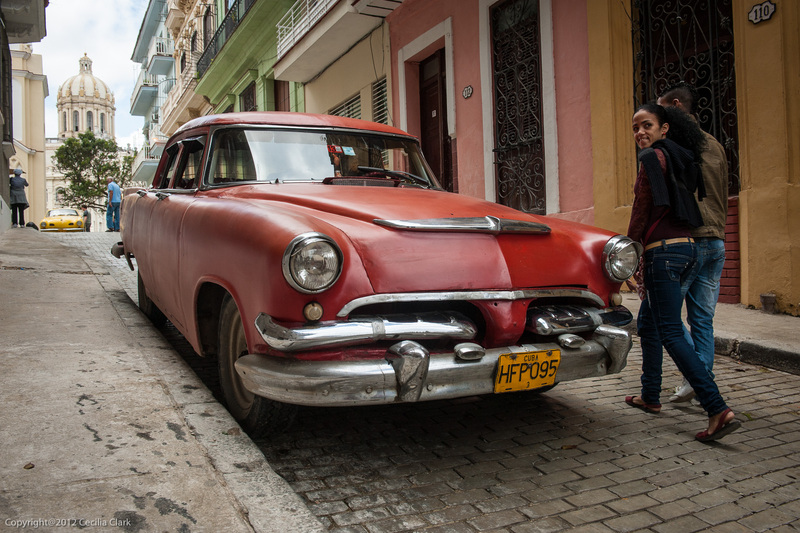 Once in Havana, we met our knowledgeable and charming local guide, Yesenia and our driver, Fecund, who does not have as many children as his name would imply. Our time in Havana was quite structured as required by the terms of travel specified by the US Government. That strict structure felt a little stifling to us. We did manage to slip the noose and venture out on our own--occasionally. However, most of the itinerary was interesting and things we would have wanted to see and do even if on our own. The advantage of GV was that we had access to people that Dan and I would have never run across without GV. In Havana, we visited community outreach programs, the Community Council of Churches, chatted with English teachers, and had a Q&A with a judge. We met Judge Doris Cruz, a senior jurist, at the Cuban National Jurists Union. Seeing the group, Ms. Cruz asked, How many lawyers are in the group?" She was told that there was only one lawyer in the group. Ms Cruz responded, "Enough." "What percentage of defendants are found guilty?" "Were there trials to determine guilt for cases involving confiscation of property (left by those fleeing the revolution)?" Ms. Cruz discussed the 10-year war (1868-1878) and the Necessary War of 1895 which caused the departure of the Spanish and the subsequent occupation by the United States, the US hold on Guantanamo Naval Base, and she pointed out the legal aspects of an "embargo"(the term the US uses) versus a"blockade" (the term Cuba uses). On the third day, we were driven to Ciego de Avila a town located in the center of the country. On the way we stopped in at the Che Guevara Memorial which was oddly disappointing. The photos and museum exhibits showed Guevara out in jungles hanging with his male friends, drinking, camping, taking photos. After the revolution Castro made him a Cuban diplomat, but he resigned, left Cuba, and fomented revolutions in Congo and in Bolivia where he was captured and shot. Guevara's remains were found in Bolivia in 1997 and returned to Cuba. He is a revered hero in Cuba's pantheon. We also stopped at a roadside cafe that had various caged birds and animals. 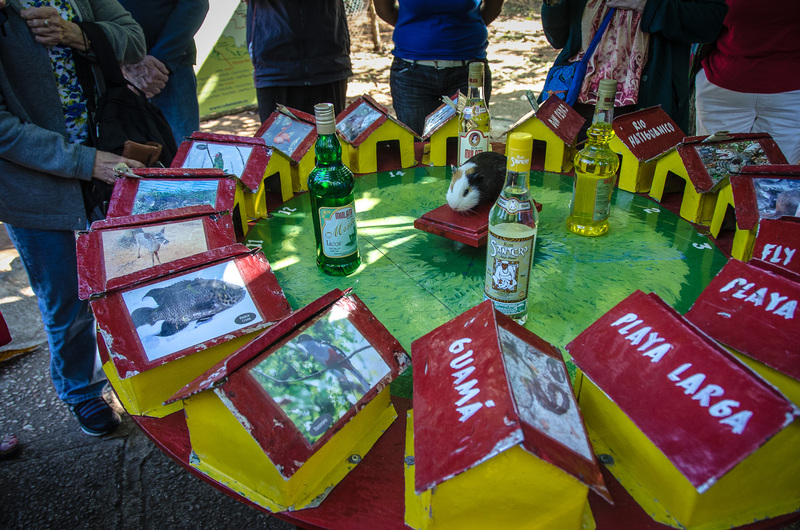 There we played a little game of chance to win a bottle of rum; the money was to go to feeding the animals. The game involves a circle of little houses encircling a real Guinea Pig. The player puts his/her money on a house and if the Guinea Pig runs into that house, you win the bottle. It is a very clever game. On the way to Ciego de Avila two other things happened: the bus broke down and Hugo Chavez died. The bus breakdown was remedied in about an hour when a new radiator hose was delivered. The specter of Hugo Chavez haunted the rest of our visit.